P110LF-W is rated 5.0 out of 5 by 2. 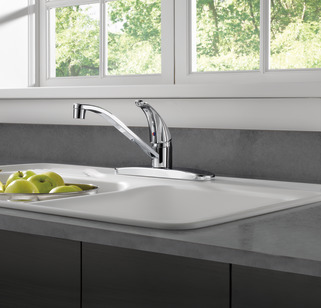 You can install with confidence, knowing that Peerless faucets are backed by our Lifetime Limited Warranty. Rated 5 out of 5 by Stanthegolfer from Great product We buy these for rental property because they are good quality at a reasonable price. Rated 5 out of 5 by fosrocker69 from Good product Excellent value! Unbelievable warranty! Easy to install! What is the difference between the P110LF and the P110LF-W? Can I add a sprayer to this model? Recently installed this model, and have decided I NEED a sprayer! Is there a way to add a sprayer to this model? Would hate to have to change faucets! Thanks! My hot water is running very solw What can I do. I just installed your faucet no. P11OLF-W. The cold water runs fine. But, the hot water is running very slow. How can I fix this? 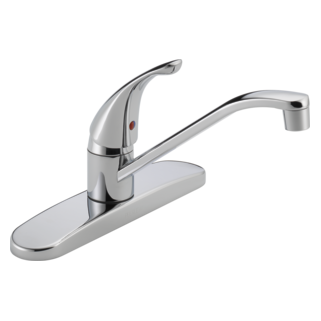 *The manufacturer's list price (U.S. dollars) is shown for comparison only. The actual retail price may be different from the price shown. Will it Fit My Sink? ©2019 Peerless Faucet Company. All Rights Reserved.